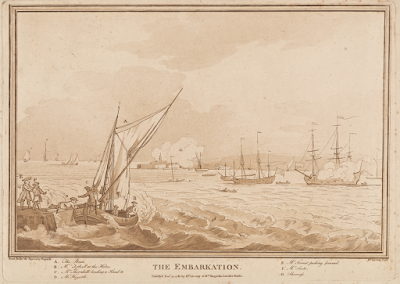 The Embarkation, Samuel Scott and William Hogarth, republished 1781, National Maritime Museum. The Embarkation, Samuel Scott and William Hogarth, republished 1781, New York Public Library. Another of Scott's illustrations for "Five Days' Peregrination," this one depicts the artists boarding a cutter. Scott himself is reluctant to board, and is being pushed forward by a Mr. Forrest. Equally nervous and clutching the pair of boards that suffice for a gangplank is none other than legendary satirist William Hogarth. 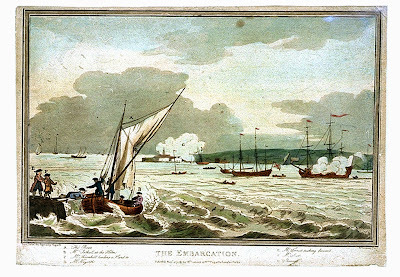 At the stern is their travelling companion John Tothall (labeled "B"). 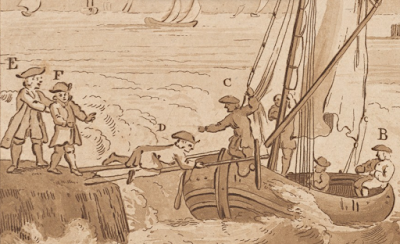 Unlike the artists, Tothall was well aquainted with the sea, and as such reclines comfortably over the tiller while his friends struggle to board. 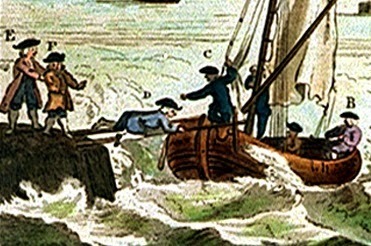 Tothall spent his youth at sea, retiring to shore at about 30, where he became a somewhat successful merchant and draper, making friends with Hogarth and Scott in Covent Garden. Tothall wears a short purple jacket and a cocked hat with the point turned forward, breeches and stockings. 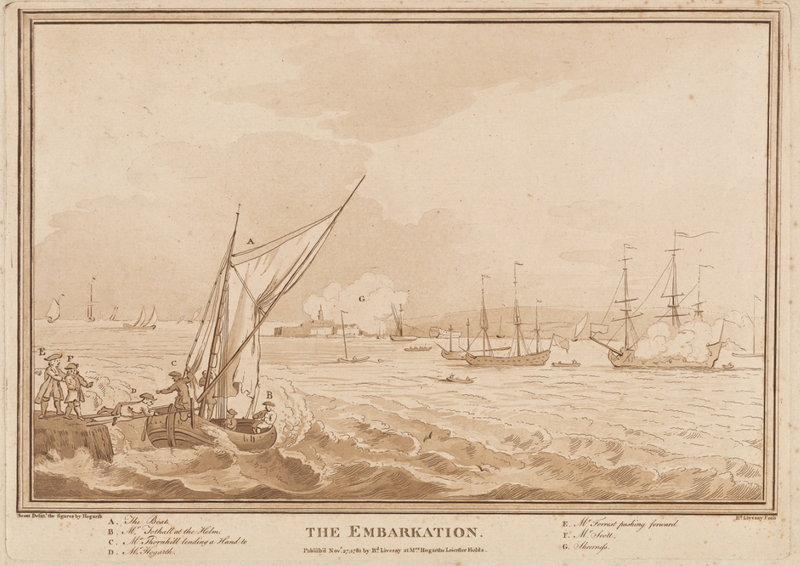 John Tothall would later suffer significantly from the loss of a smuggling vessel he had fitted out. An unidentified sailor sitting amidships wears a round hat and short jacket of brown.